Mumbai Indians is one of the most successful teams in IPL and have fans all over the country. The team’s home ground is Mumbai’s Wankhede Stadium with Brabourne Stadium as their secondary stadium. It has won the IPL championship not once, but three times, making it one of the most popular teams in India. 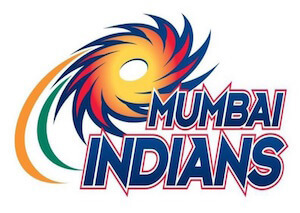 Founded in 2008, it is one of the original IPL teams that have been active in all the past seasons. If you are also a fan of Mumbai Indians team ike us, then you are at the right place. Read on to know more about the great team, their current lineup, and more. If you are a cricket buff, then you should certainly download Snaptube on your Android device. It is a freely available Android app that has integrated various entertainment platforms in one place. 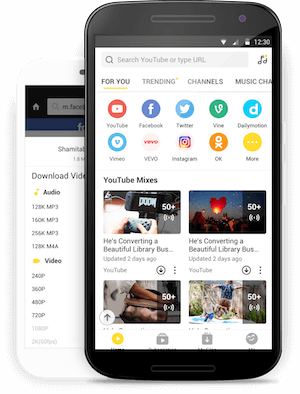 You can simply look for any video of your choice and start streaming unlimited content. Watch the highlights of various IPL matches right away and relive your favorite moments. Not just IPL, you can also watch the match highlights of other tournaments as well. Snaptube will be your one-stop destination for every sports update. Go ahead and download it and feel free to refer it to your friends as well! 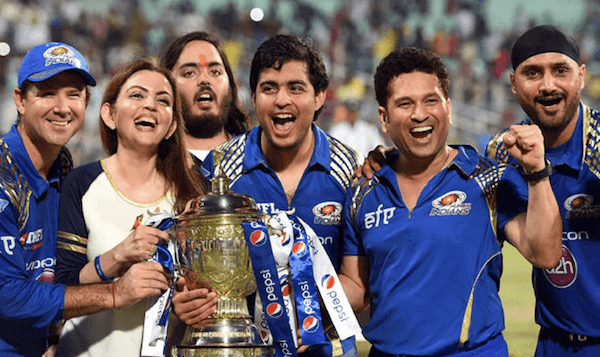 One of the most valuable teams in the Indian Premium League, Mumbai Indians is entirely owned by Reliance Industries. The team has been associated with Sachin Tendulkar and is being promoted by tons of celebrities. Since Mumbai is the home of Bollywood, the team is often glamorized among the mainstream media. It also had a bumpy start in the initial few years. Though, it gradually picked up and ended up winning the IPL championship three times. Mumbai Indians has a motto of “Duniya Hila Denge Hum”, which means “We will rock the world”. Over the last 10 years of its play, the team has witnessed plenty of coaches and players as well. For your convenience, we have listed a comprehensive Mumbai Indians roster that will take part in IPL 2018. Mumbai Indians has always been known to have one of the strongest lineups of batsmen. Though, this year, they have focused equally on all-rounders and bowlers as well. 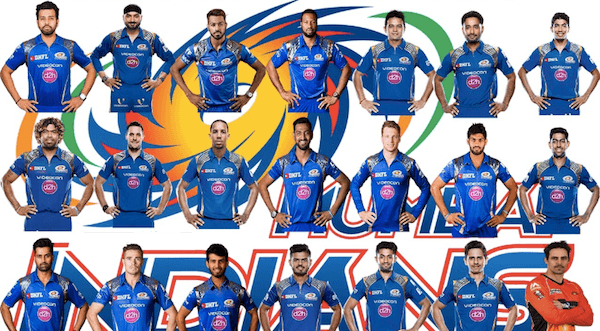 Here are all the IPL 2018 Mumbai players that will represent the team this year. As you know, Mumbai Indians have already won IPL Championship three times. Have a look at their overall performance in all the seasons of IPL over the last 10 years. 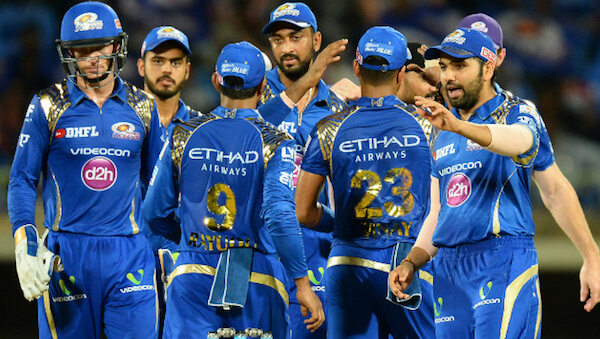 Mumbai Indians has certainly delivered some of the most powerful performances in IPL. After all, it is the first team to win over 100 T20 matches. Let’s have a look at some of their amazing performances. 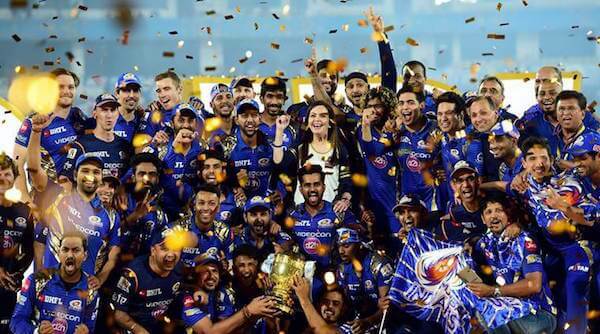 The second win of Mumbai Indians in the IPL has to be the most memorable moment. After all, they defeated their most prominent rival, Chennai Super Kings back then. When it comes to T20 matches, even a few balls are enough to change the entire course of a match. The same happened when Krunal Pandya scored an epic inning against Delhi Daredevils. As you know, MI is the current defending champion of IPL since they won the last year’s tournament. Have a quick look at the year’s final match. Even though Mumbai Indians lost in the finals of IPL 2010, they won over our hearts with their epic performance. Another great match happened in 2009, when MI played against Kings XI Punjab. Have a look at these highlights to quickly refresh your memory. Way back, Mumbai Indians and Kolkata Knight Riders had a neck-to-neck competition. Last year, Mumbai Indians got a tough competition from RCB. Here is how it all rolled out. To enter the final of IPL 2015, Mumbai Indians had to defeat CSK. Have a look at how the teams made the impossible happen. Here is a quick highlight of one of the most memorable matches between Mumbai Indians and Deccan Chronicles. 10. MI’s journey so far! To conclude it, have a look at the glimpse of Mumbai Indians journey over the last 10 years on IPL.